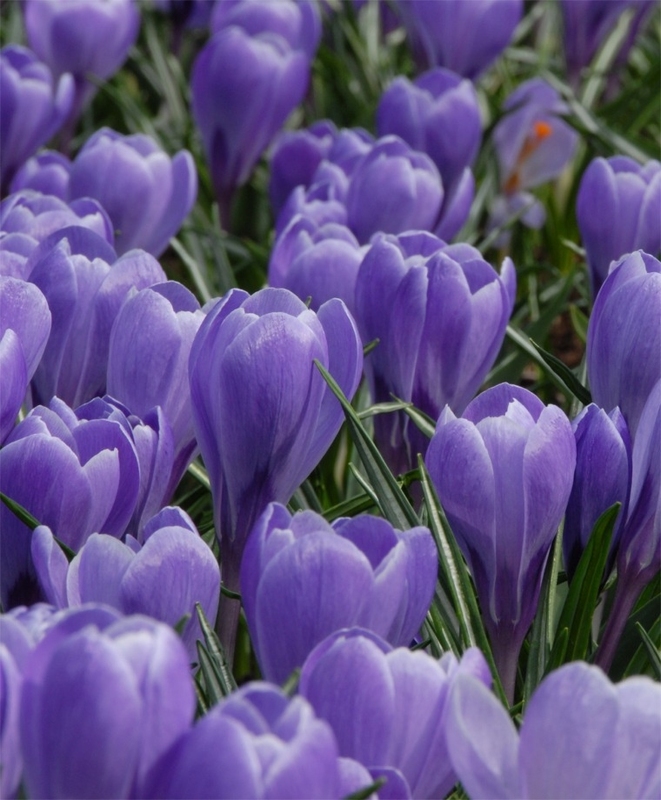 For those of us who love purple, our Majestic Lavender Dutch Crocus Mixture is equal parts of spectrum-violet Flower Record, sea lavender-violet Grand Maître and gray-blue and purple striped Pickwick. Each variety has six-petaled flowers with orange anthers that open and close on sunny days, and grass-like foliage with narrow, median silver-white stripes. 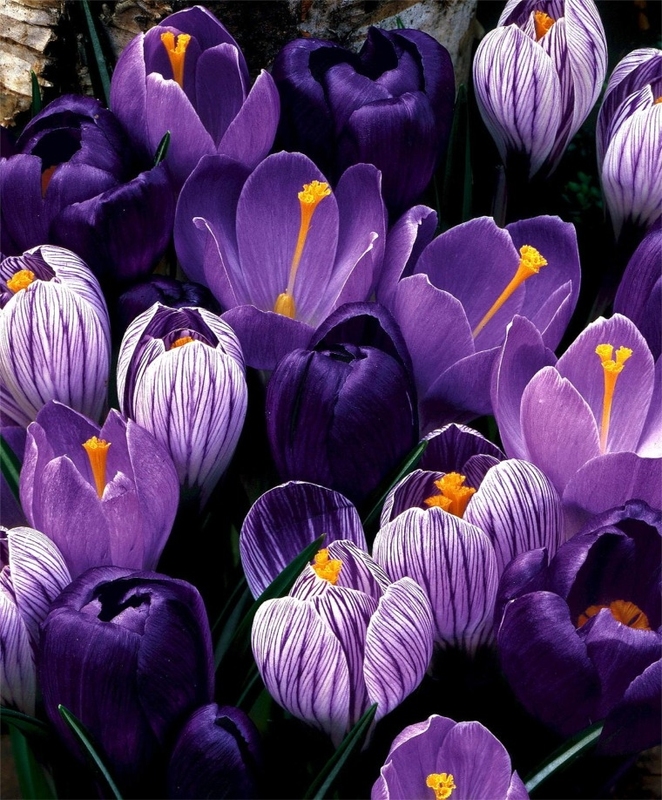 Large Flowering Crocus, sometimes called Giant Dutch Crocus or the Wild Crocus of the Alps or the Pyrenees, bloom about two weeks after Species Crocus. Drifts en masse are spectacular in garden and pathside borders, and in meandering rivers through sun dappled woodlands. 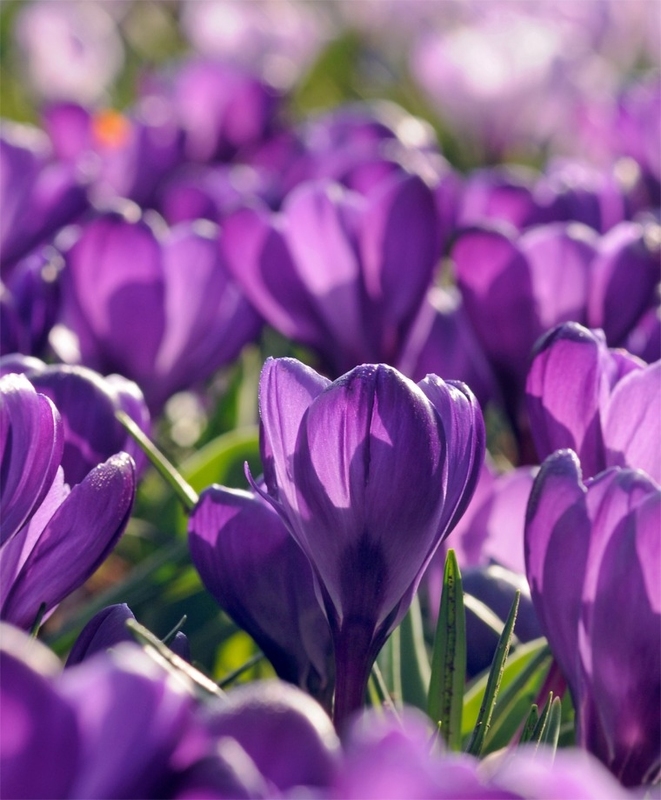 (If you do plant them in lawns, mowing should be held off until the foliage dies back naturally, about five weeks after blooming.) They have graceful six-petaled, 5" tall flowers that open and close on sunny days, and grass-like foliage with narrow, median silver-white stripes. Deer-resistant, they naturalize readily in well-draining soil and in full to partial sunlight. 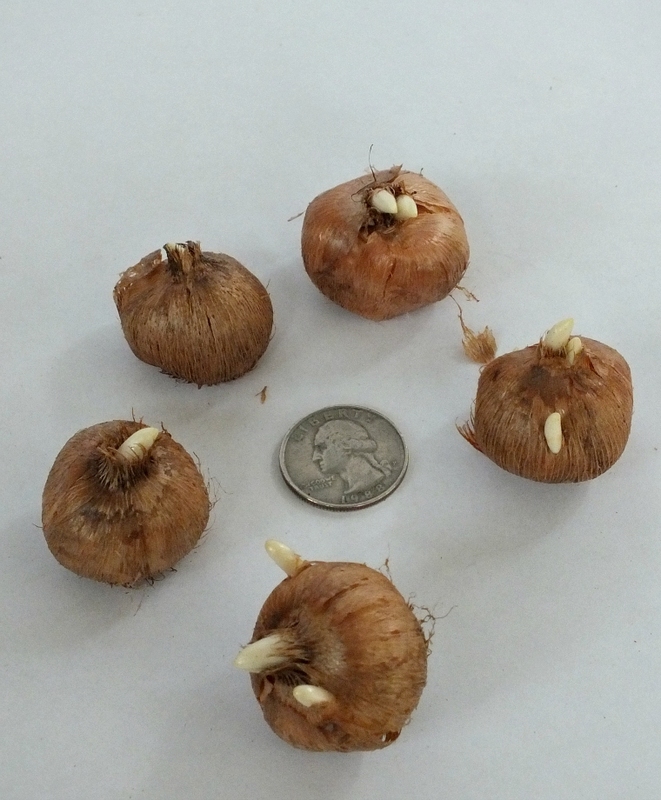 These larger corms have reticulated tunics. 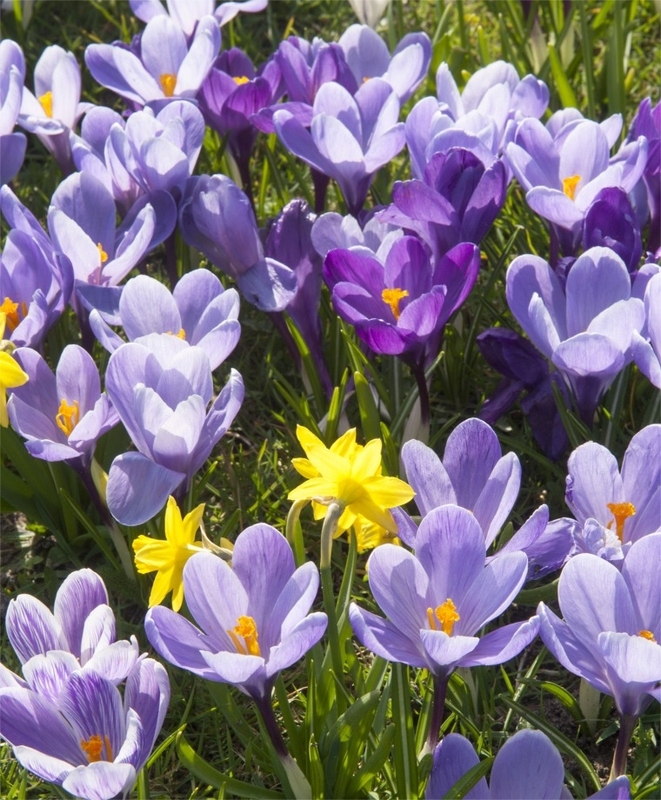 They may be a target for squirrels that may dig up newly planted bulbs for a snack, or for transplant elsewhere. 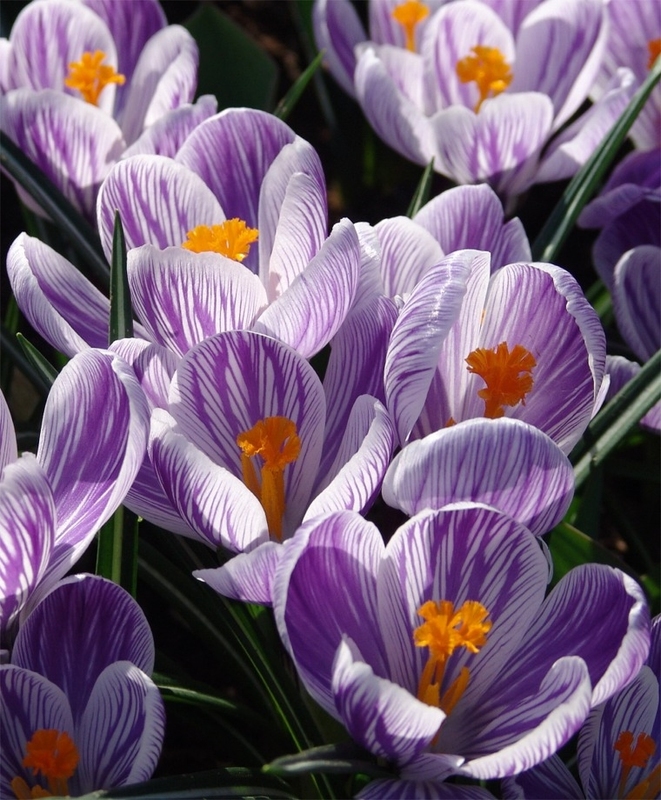 You’ll need about nine corms (bulbs) per square foot for a dense planting.